Although heavy tomes can be thought provoking and force analytic thinking in our dusty brains, sometimes a book needs to be a mindless diversion. When we need an escape from reality, award winning books forcing us to acknowledge the dire consequences of the greenhouse effect or the misery of our fellow man can only drop us deeper into the abyss. Every now and then, a happy, fluffy, even ridiculous, book is the needed antidote. What books can you recommend to brighten a day? 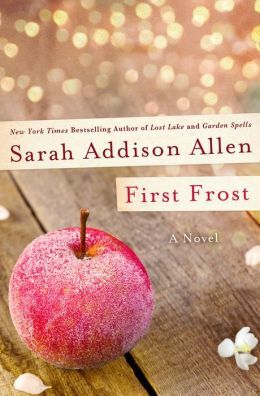 First Frost by Sarah Addison Allen charmingly continues the story of the magical Waverley sisters, with the cranky apple tree still throwing its apples and the house still locking its doors. Allen includes a coming of age tale and cautionary advice for anyone seeking fortune over family. And, as always, she has a few bon mots to treasure. For fans of “Garden Spells” and its sequels, First Frost is a welcome addition. 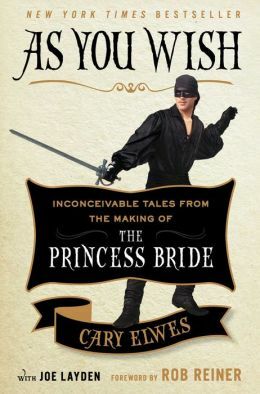 Cary Elwes, the star of the movie The Princess Bride reconstructs the making of the beloved film in As You Wish. A little hokey and at times strung out – just like the movie – but funny and informative with pictures and insider notes from the actors and Director, Rob Reiner. Makes me want to see the movie again. 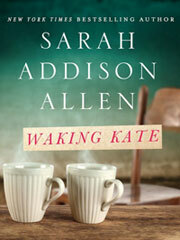 When Sarah Addison Allen offered her free short story online (Waking Kate) as the teaser for her new book Lost Lake, I anticipated an emotional story with a little magic and some romance. In a recent interview, Allen discussed her recent health issues – as she does in the acknowledgments at the back of the book – and noted that although her writing helped her through a tough time, she was not writing about it. Instead, Allen stayed with her successful formula from past books, creating relatable characters who overcome adversity and heartbreak to find a new life with the help of quirky magical happenings and, of course, true love. Laced with just enough drama, the predictable plot is comforting and enjoyable. 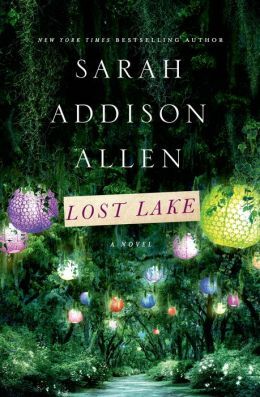 In Lost Lake, Kate and her daughter Devin, return to her great-aunt’s holiday campground just as she is about to sell the property to a villainous, greedy land developer. Recovering from the recent death of her husband, Kate has delayed starting over, until she finds Wes, her first teen love of fifteen years earlier, who has never left the lake. Allen changes the rules of the formula romance by adding her trademark magic, daring the reader to suspend belief and enjoy the moment. In this case, a boy reincarnated as an alligator communicates with Devin to save the day. I’m a fan of Allen since reading Garden Spells, and always enjoy her stories – this latest brought me out of my reading slump.